The latest release of ArcGIS offers powerful new features for your mapping, visualization, and analytical needs. Here’s a look at what’s new. 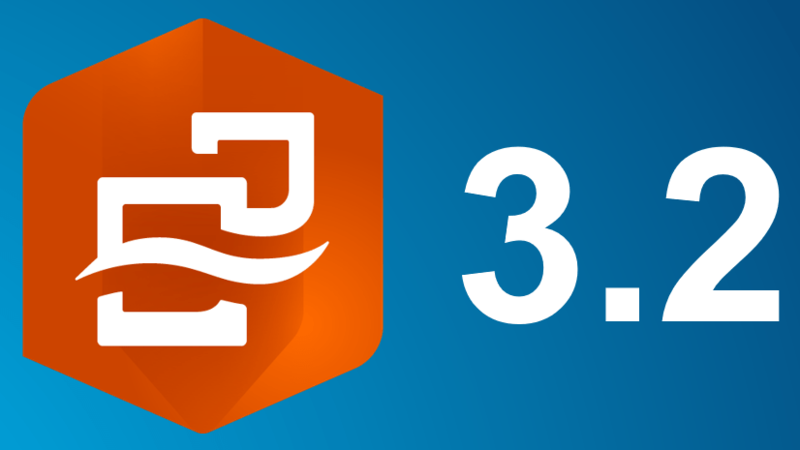 ArcGIS Pro 2.3 is the largest release of ArcGIS Pro to date, featuring more new and updated features than any previous release. Take advantage of the enhancements in 2.3 that improve your workflows for mapping, analysis, and data management. The redesigned and enhanced start up experience means you can start mapping, analyzing, and managing your data faster than ever. Use can now launch ArcGIS Pro without first creating a project. ArcGIS Pro 2.3 includes color ramps for polygon outlines, reports, a new Deep Learning toolset, and new tools for measuring and interpolating 3D data. ArcGIS Data Reviewer has new capabilities for automating quality control workflows. Many of the automated validation checks in Data Reviewer can now be configured as Attribute Rules, which enforce data integrity during the data creation and editing process. Additionally, the Delete Reviewer Session is a new custom step available for use with the ArcGIS Workflow Manager extension. When used in conjunction with the Create Review Session step, it enables the automatic deletion of error results associated with a job. This release introduces a slew of new toolsets, including ones for automating production workflows; refining cartographic data; generalizing data for different geometry types; identifying narrow and wide portions of a polygon; and turning polygons into centerlines, which is useful for hydrography. Users can also now add a Slope Guide to their maps, which dynamically shows the percentage of slope on a map based on its scale and contour intervals. The release of ArcGIS Pro 2.3 adds new functionality to ArcGIS for Aviation: Obstruction Identification Surfaces, Import FAA 18B Shapefiles, Export FAA 18B Shapefiles, ICAO Annex 4 and Analyze LAS Runway Obstacles. To make it easier to analyze and display polygon, polyline, and multi-patch obstacles, Esri has also updated some of the capabilities in Generate OIS Obstacle Data and the Terrain and Obstacles Profile element. ArcGIS Enterprise 10.7 makes advances in data, publishing services, distributed collaboration, web mapping, administration, and more. In data, coded value domains are now available for hosted feature layers. Offline map areas can be created from web maps. Shared instances now reduce the memory footprint of services and make it possible to support many more services than in the past. Enhanced distributed collaboration features means users can share Insights items and copy hosted feature layer views. New relationship style symbology helps show the relationship between factors on a map. Webhooks allow users to get notifications when something specific happens. Starting at 10.7, ArcGIS Enterprise features User Type licensing for Enterprise portal members to better match GIS and organizational workflows. ArcGIS GeoEvent Server provides new functionality and enhancements in several key areas. Users can boost real-time analysis on their streaming data with six new processors: Add XYZ Values, Bearing Calculator, Event Joiner, Event Volume Controller, Feature to Point, and Range Fan Calculator. Data sources in the spatiotemporal big data store now support z-values, and users can export delimited text from the spatiotemporal big data store to an Azure or Amazon cloud store right in GeoEvent Manager. Published feature services from GeoEvent Manager now support hosted views, allowing users to apply different editor settings, styles, or filters. To better manage system resources, set user-defined refresh intervals on the Monitor page of GeoEvent Manager. Users can access documentation quickly for all the available connectors and processors directly in GeoEvent Manager with the new embedded help. ArcGIS GeoAnalytics Server has gained new big data tools to fuel users’ data management and analysis workflows. Clip Layer, Dissolve Boundaries, and Merge Layers make it easier to maneuver and manipulate data. 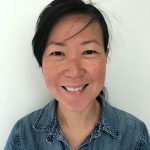 When it comes to doing data analysis, new statistics tools such as Forest-Based Classification and Regression and Generalized Linear Regression improve users’ ability to find relationships and make predictions. Users can also now keep their data in one place by writing the results of GeoAnalytics analysis back to their data sources. 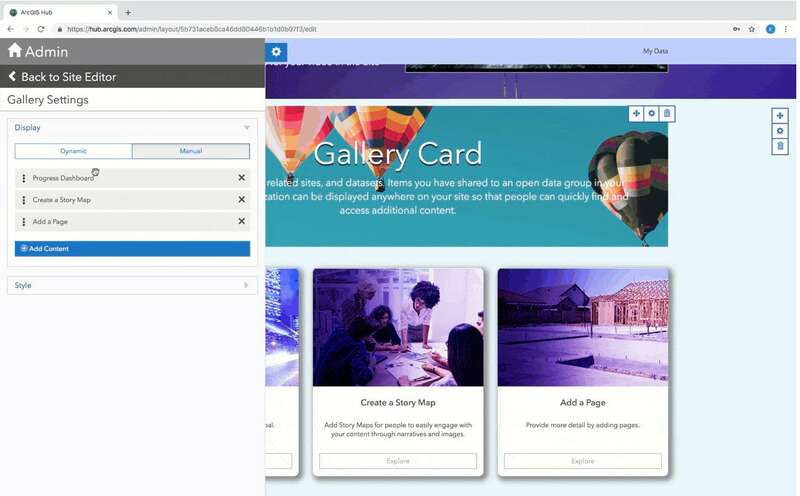 This means users can send results back to an external data source like cloud storage or HDFS instead of writing results back as a web layer in ArcGIS Enterprise. With 10.7 also comes a best practices documentation topic on planning for and scaling a GeoAnalytics site. The launch of ArcGIS Notebook Server puts a built-in Python-scripting environment in ArcGIS Enterprise 10.7. Users can jumpstart scripting with ready-to-use samples and boost workflow automation and spatial data science work—right in their Web GIS setups. Python libraries include ArcGIS API for Python, ArcPy, and open source statistical and machine learning libraries. ArcGIS Excalibur 1.0—a cloud-based image exploitation app that allows users to easily search, discover, and work with imagery in fully integrated workflows—is available for use in ArcGIS Enterprise 10.7 on April 04. It offers a new way for analysts, imagery specialists, and managers to collaborate and deliver timely geospatial intelligence to decision-makers. 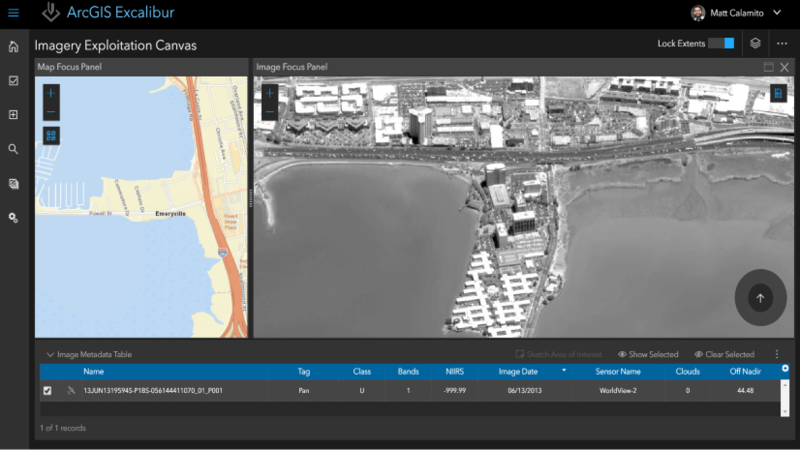 Imagery projects in Excalibur allow users to access all their resources in one location, including geospatial reference layers that provide context to imagery tasks and tools that streamline image-based workflows. Users can also employ imagery projects to share and manage their imagery exploitation tasks. The latest release of ArcGIS Monitor, a tool uniquely tailored to monitor the health of ArcGIS implementations, includes several improvements. A new Status page lets users get a quick view of the status of their enterprise GIS infrastructure, databases, and more; Root Cause Analysis capabilities swiftly identify the sources of alerts and their downstream impacts; and there are now targeted usage reports for ArcGIS Server and Portal. ArcGIS Monitor now has log counters and a new API as well. With the 10.7 release, ArcGIS for INSPIRE implements four new data themes: Agricultural and Aquaculture Facilities, Production and Industrial Facilities, Human Health and Safety, and Energy Resources. 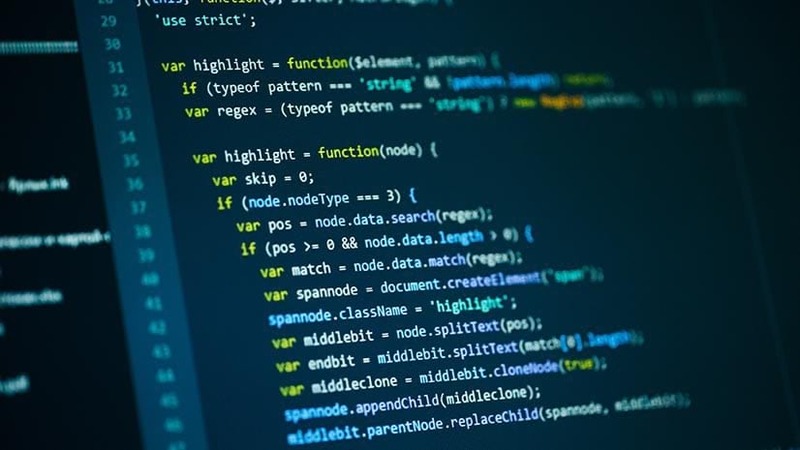 It also includes enhancements to existing geodatabase templates, INSPIRE predefined services such as atom validation, INSPIRE download services such as DescribeFeatureType and ListStoredQueries, and view services such as style. The product also addresses many validation issues and is more compliant with INSPIRE specifications. ArcGIS Online was updated on March 19. New functionality and improved workflows are sure to excite you! The new interactive legend configurable app enables viewers to explore data in a new way: They can choose which data to display by interacting with the legend. You can easily upload a group of JPEG photos with location information and publish as a hosted feature layer. The layer will contain points with the corresponding photo attachments. Use the new Arcade function to interact with attachments. You can identify the number of attachments and data type. Then visualize the results. Group owners and managers can help their users quickly find what they are looking for by specifying the type of item (such as maps, layers, or apps) that displays by default on the group’s content and overview tabs. When searching for items, you will see a new location filter. Specify a place or region of interest and see only items for that location. This filter works by referencing map extents set by the map author. ArcGIS Hub organizes teams of collaborators around ArcGIS Hub initiatives by providing organizations and their communities with the resources they need to accomplish both internal and public projects, plans, goals, and activities. Recent enhancements to ArcGIS Hub include new search capabilities and support for file geodatabase downloads, making it easier for you to find and share data. You can also add more content to your hub sites faster with updates to the gallery card and new media card. Ever wonder how many people are connecting with your sites? Check out the new site dashboard to see how many views you get over time. User profiles and how you receive notifications have also been updated. Redesigned navigation, and enhancements to the Site Editor, have simplified key workflows for teams in building sites, managing content, and sharing information. 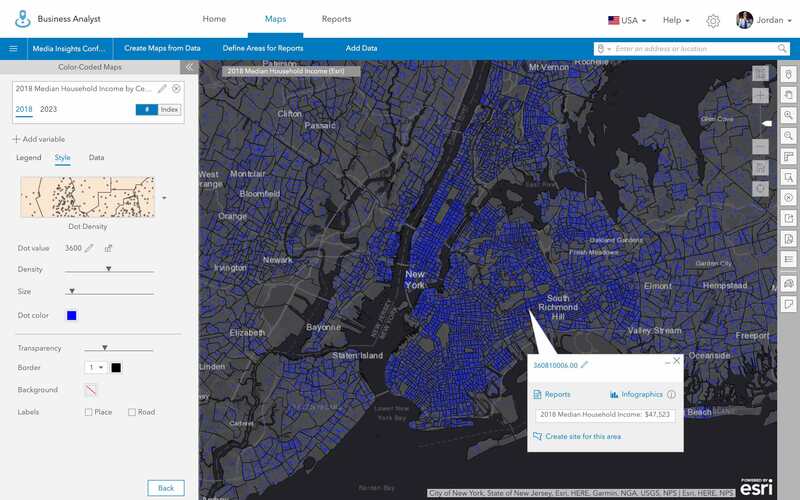 Any organization with an ArcGIS Online subscription can get started with ArcGIS Hub basic by enabling open data and creating their first site. Analyze both spatial and business data in one place. Perform spatial analysis simply, in a familiar, BI-like experience. Carry out statistical and exploratory analyses. Export datasets that result from their analysis into 3rd party systems. Additionally, new capabilities in Insights for ArcGIS include a new home screen for managing data and projects, Python and R integration, portal to portal collaboration, and support for PostgreSQL data. 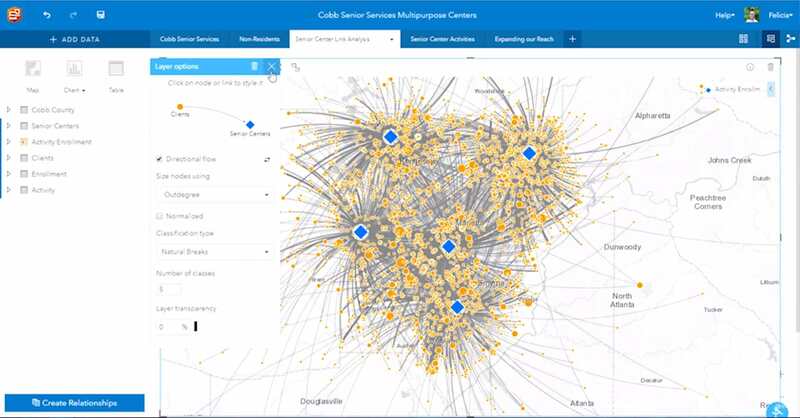 The March 2019 update to the ArcGIS Business Analyst Web App has arrived! With this release, there are many exciting new features and updates. We’ve added seven brand-new starter infographic templates to help users summarize their data and analysis, updates to Comparison Reports, access to crime data for reporting, new symbology, updates to our data, and so much more. We’re so happy to share this update with our users! To explore the full list and to read more about each new feature and update, read our What’s New in Business Analyst (March 2019) blog. ArcGIS Living Atlas of the World is the foremost collection of geographic information from around the globe. It includes curated maps, apps, and data layers from Esri and the global GIS user community that support your work. Visit the Living Atlas website, where you can browse content, view the blog, and learn how you can contribute. Try the new Community Maps Editor app (Beta) to add detail into your area of interest and enhance Esri’s basemaps. Get started today creating building footprints, athletic fields, walking paths, trees, and so much more! Creatively tell your story using map base vector and raster files. ArcGIS Maps for Adobe Creative Cloud is the extension to Adobe Illustrator and Photoshop that lets your map-based projects stand out, giving you full editing and creative capabilities. Use the Mapboard to define an extent from a data layer, a map, or a file saved on your computer. Using the new Favorites buttons, you can also signal which layers or webmaps you prefer and better organize frequently used content. If your creative decisions take a turn, utilize the new redo/undo actions within the Compilation window. Collect asset data from a map-centric mobile app that connects to your ArcGIS. We are introducing the 18.1.0 release of Collector, a significant release on the iOS platform. Esri’s beta community of more than 2,000 users recommended enhancements and features that make this app highly productive. Its engine supports vector tiles, labeling, and advanced symbology. The update also includes simplified ways to complete common, repetitive workflows. When collecting data in areas without connectivity, you can now create offline maps in the office to download to your device and auto-sync edits from within the map. The new Collector for ArcGIS can run side-by-side with the former version of Collector for ArcGIS (iOS), now known as “Collector Classic”. Find and interact with your assets in an easy and simple environment using Explorer for ArcGIS. Access your maps conveniently in an online or offline environment. Explorer for ArcGIS replaces traditional paper maps and allows you to digitally interact with your company data, view map markup, and survey an area of interest. Collect survey data with either the web-based or mobile app and connect it to ArcGIS. Direct support for external GNSS receivers has been added, so you can now connect a receiver via Bluetooth, USB or a network connection to your phone or tablet to collect high-accuracy data in your survey. By adding questions to your survey – either hidden or visible to the user – you can optionally constrain data collection to meet a given accuracy or record the accuracy information at the time of data collection for every location. For more information on the type of receivers you can use see Choose a receiver, and for more information on how to constrain or report accuracy information see Configure location quality expressions. Use maps alongside charts, gauges, and other visual elements to reflect the status and performance of people, services, assets, and events in real time. The Operations Dashboard for ArcGIS update introduces new configuration options through URL parameters providing more flexibility in dashboard configuration. Designed to trigger actions at runtime, several different parameter types are available: category, numeric, date, feature, and geometry. This means you can now configure Dashboards to load based on a specific property, for example at a certain spatial extent, or with a specific filter applied. For more information about URL parameters, see Make your Dashboards more Dynamic using URL Parameters. Web AppBuilder for ArcGIS has two new widgets as well as improvements to existing widgets. The new Threat Analysis widget targets public safety personnel and first responders by identifying safe distances and zones for planning events. The Visibility widget determines what is visible based on distance, observer’s height, and a field of view. In addition, Directions now allows you to configure barriers from your map layers. Analysis adds three new tools: Find Centroids, Find Point Clusters, and Summarize Center and Dispersion. 3D Search enables you to search feature layers. Transform your maps into cross-platform native apps with AppStudio for ArcGIS, no developer skills required. AppStudio for ArcGIS 3.2 includes updated dependencies: ArcGIS Runtime 100.4 and Qt 5.11.2. AppStudio Desktop includes a number of improvements for composing emails, as well as notification and vibration support for UWP apps. AppStudio Player now supports downloading and viewing public apps, with no need to sign in. It also has a new onboarding page and dark theme. AppStudio template apps have many new features as well as fixes. Automate your workflows with ArcGIS API for Python. The latest versions 1.5.1 and 1.5.2 include some new functionalities as well as some bug fixes to further enhance your user experience. You now have the ability to add a map legend as well as use comma-separated strings to return query as DataFrame. We have also introduced a new Survey123 module in the Python API to bring the power of automation and insight to your Survey123 data. Product marketer. Map lover. Hello Kitty uber-fan. 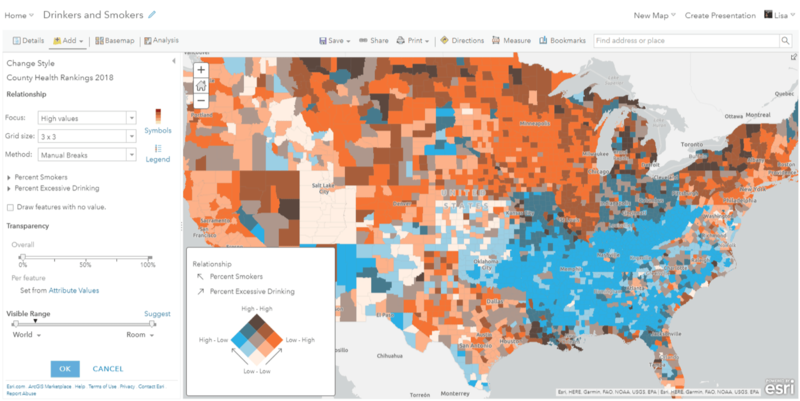 ArcGIS Excalibur is Coming Soon! ArcGIS Excalibur is a new web app available at the ArcGIS Enterprise v10.7.